Bubble tea is impossibly popular right now. From kiosks in the mall selling the delicious drink to kiosks in Disney World, you can find bubble tea almost everywhere now. In Baltimore (and the surrounding areas) alone there are dozens of tea shops. One such place is Tea-Do in Ellicott City! 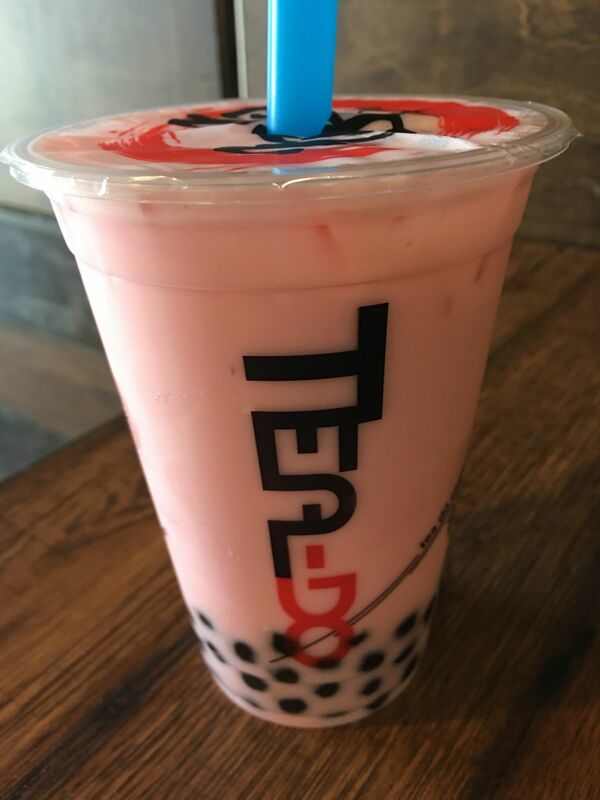 I played it safe and got a strawberry tea with tapioca bubbles — my go-to favorite. The tea was sweet and refreshing, and the bubbles were perfect. Not too soft yet not too hard — that perfect chewy texture. You can get a variety of tea and tea fillings here too. From aloe vera to lychee, there are literally hundreds of combos you could potentially do. They also have food (onigiri and other handheld snacks), and they even have board games for patrons. Seriously, this is a great new spot in Ellicott City.